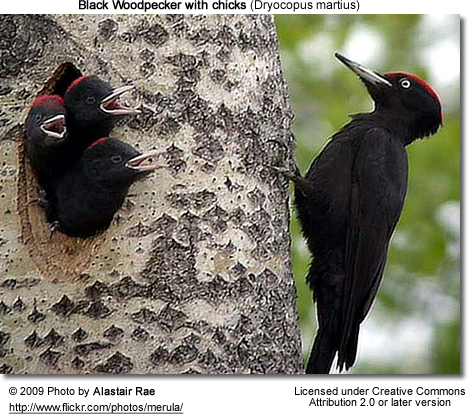 The�Black Woodpecker�(Dryocopus martius) is a large woodpecker is widespread and expanding in much of Europe. It does not migrate. 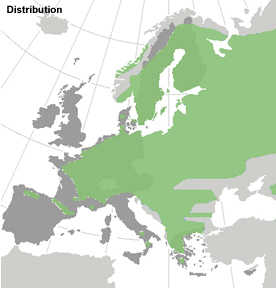 It inhabits mature forest across the northern palearctic. 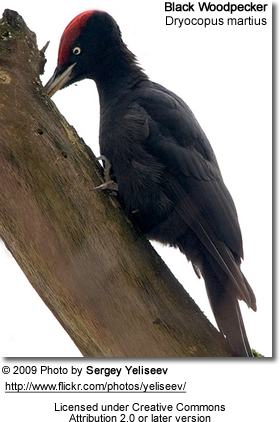 The Black Woodpecker is about the size of a�crow. 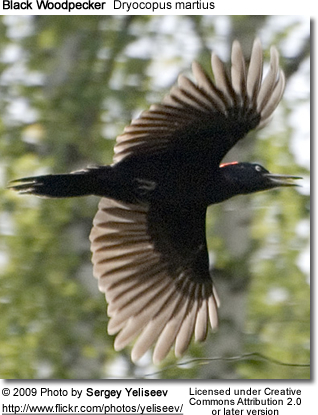 The plumage is all black apart from the distinctive red crest. It has a pointed tail and its flight is straight - not dipping like the flight of woodpeckers. The males and juveniles both have long narrow red�crowns�but on the adult females this is restricted to a little red patch at the back of the head. They nest in tree cavities. The average clutch consists of four or more eggs. Please Note:�The articles or images on this page are the sole property of the authors or photographers.�Please contact them directly with respect to any copyright or licensing questions.�Thank you. !